I LOVED working with Kael. I felt like I could just let go and trust the process. Being with Kael is like being with a loving mother, a mystic, a healer and a best friend all at the same time. She was able to pinpoint exactly what I needed to move forward. At the same time, I am now able to use the tools I learned on my own. For the first time in 5 years I am on a path to recovery. Are you ready to make a major shift and jump in your health and energy? Do you want the awareness and knowledge to bring balance and healing to yourself at any moment? Are you tired of being stopped by disempowering thoughts, fatigue and fear? Do you want to reclaim your juice, energy, sleep, passion and joy? Fill out an application and schedule a free 45 min. Consultation to see if this program is a fit for you. As women, we are powerful sources of creation and nourishment in our families, communities and work. Really, we make stuff happen and get it done. From a physical giving of our bodies to the emotional output and energetic connections we maintain, we often give to the point of depletion. This can get expressed as fatigue, insomnia, anxiety, pain, digestive and hormonal imbalance. Ultimately we can feel disconnected from who we are and what we want for our lives. I have been living and sharing Ayurveda for the past 15 years. 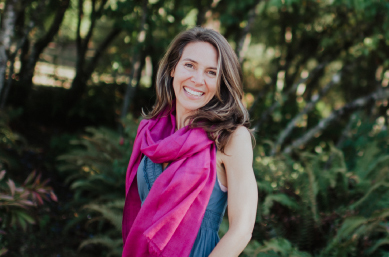 Through 1-on-1 coaching I have created an anchor of support for amazing women to regain their juice, energy, sleep, passion and connection to their inner guidance. I love working in this way because it allows for real transformation and healing to take place. My clients experience relief from insomnia and chronic fatigue, loving their bodies, being at peace, healing their relationships, pursuing their passion and self-trust. The journey to healing is a path of self-discovery. I will educate you about your unique expression through the ancient wisdom of Ayurveda and guide you to listen to your body and spirit to reclaim your health. Ultimate healing in Ayurveda, is called Swasthya, which is a returning to your Self. This is really a space of loving yourself as you are. In this space, your body is no longer at odds with itself, allowing for spontaneous healing. You begin to naturally make healthy choices that make you feel good. Yes! I am ready to feel good. Initial 1.5 hour full Ayurvedic Consultation and Visioning session, setting the foundation for our work together. Then we will schedule 11 consecutive 1 hour private sessions over 3 months. Sessions can be done in person, phone or skype. Throughout the program I am thinking about you. Our connection and your commitment to yourself is the webbing that holds you and your healing. This is distinct from individual sessions. Guided Spring or Fall Home Cleanse (valued at $185). 2 week guided group program. 15% off Treatments for the duration of the Program. Access to Delight In Your Life Video Series supporting and deepening the information and practical integration of the cornerstones of the Program. There is a gentle structure for the program, allowing the process to unfold organically based on your individual needs and progression towards your vision. When we trust and follow our inner guidance, magical and unforeseen results happen. Cost $1,475 paid in full. If you wish to pay by the month, payments are $525/month. Ready to take the leap and transform your life? During the session we will go to work on an area in your life that you are committed to transforming. We will identify the challenges or obstacles in the way of having the results and vitality that you want and uncover key actions you can take right now to start transforming your health and life. You will leave the session feeling clear, focused, inspired and moving forward on your path towards your greatest health, joy and connection to your Self. You will have an opportunity to ask questions and determine if this program is a fit for you. My first call with Kael was amazing in itself. The biggest issue I put on my goals was to fall asleep without medication. My doctor put me on Ambien after my first daughter was born and never took me off of it. After 7.5 years on this medication, my sleep was suffering, my brain wasn’t able to process any dreams, and I was petrified to not have the medicine. I was scared to death that I wouldn’t sleep. Through all the work we did, I was able to easily wean off the medication, I no longer have a physical or psychological dependency on it. That is true Freedom! Working with Kael has truly been a life saver, both to me and my children. I am ready to reclaim my health, energy and delight fully in my life.